Mix the spices, salt and pepper and rub into the chicken to season evenly and leave covered in the fridge overnight. Heat the oil in a deep-sided pot on a medium heat while you prepare the chicken. If you have a thermometer – heat to 160’c. Mix the flour, spices and salt and pepper together to evenly combine. Pour the buttermilk in another bowl. Dip the chicken into the flour mix and then into the buttermilk. 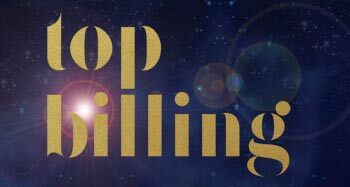 Repeat the process to form a double coating and ultimately a thicker, crispier coating when fried. Test the oil is ready by dropping a little of the coating from the chicken into the oil and it should sizzle. Fry the chicken in batches in order to ensure the pot is not overcrowded. Fry until golden brown, roughly 12 – 15mins. Place the fried chicken onto paper towel to soak up excess oil. 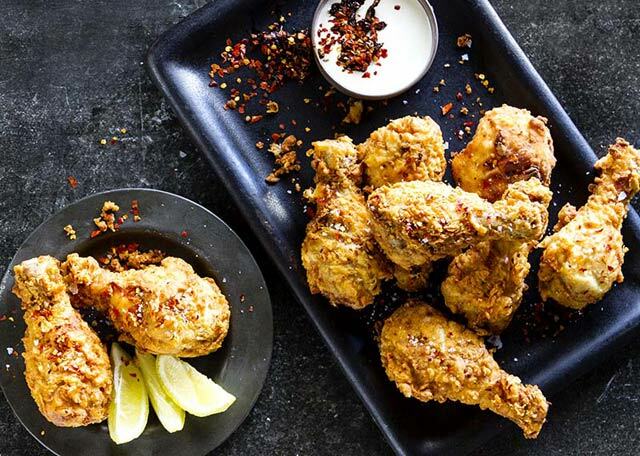 Serve the fried chicken with spicy buttermilk dipping sauce. To make the sauce, combine all the ingredients and mix until smooth. 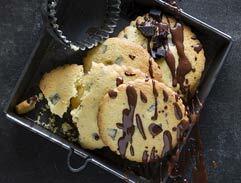 With only 6 ingredients this delicious chocolate chunk cooking are super easy to make! 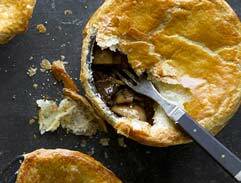 This mushroom and steak pie recipe is not only easy to make but the delicious crumbly puff pastry and warm nourishing filling is guaranteed to be a hit! 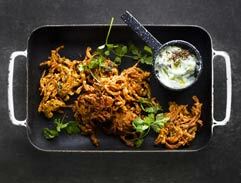 These delicious red onion Bhajis will add a little spice to your life! 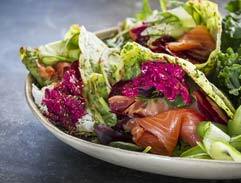 This awesome recipe shows just how delicious kale can be! 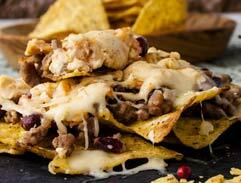 Add a little spice to your life with this cheesy and delicious Mexican Bean Nachos recipe! 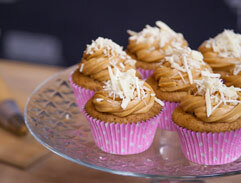 Try these delectable salty-sweet Salted Caramel and White Chocolate Cupcakes recipe.